Game Developers Conference China organizers have now debuted a completed schedule for the December 5th-7th Shanghai event at the Shanghai International Convention Center, with late additions including Ngmoco's Caryl Shaw and Zynga Beijing's Andy Tiang. Leading Chinese and Western developers have once again been recruited, with late additions to the schedule including Ngmoco's Caryl Shaw, a veteran of notable studio Maxis (SimCity, The Sims, Spore). She will discuss 'The Future of Game Production', and another new confirmation sees Zynga Beijing head Andy Tiang presenting a lecture called 'Building Sustainable Social Game Experiences'. Also now locked down are Sunday's tutorials, with Autodesk presenting two half-day seminars on 3DS Max, Maya, and Mudbox, and a rare Asian appearance from Visceral Games' Matthias Worch (Dead Space 2), presenting 'Level Design in a Day: Best Practices from the Best in the Business'. A Serious Games Summit is also now confirmed, with speakers including Realtime Associates' David Warhol and NewGame Solutions' Shigeru Bart Chigusa discussing games used for learning, corporate, education, and other uses. Another highlight of this Summit is a featured lecture from Crystal Digital Technology, analyzing the company's game featured in the recent Shanghai World Expo. All talks at GDC China will be simultaneously translated into both English and Chinese for attendees, and the two confirmed keynotes for GDC China 2010 are from Square Enix's Hiromichi Tanaka -- on building Final Fantasy XI and XIV, as the latter is poised to become the first-ever official Final Fantasy title to debut in China. The other keynote features Blizzard, Flagship and Cryptic alumnus Bill Roper on "how the game industry in the Western world has learned from Asia's successes in both development and business models", promising plenty of insight into the history and future of online games. 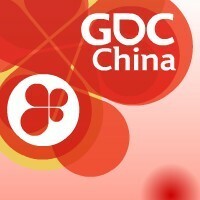 - The Global Game Development/Outsourcing track includes major talks by notables from Activision, Intel, BioWare, Volition, and Slant Six, as it concentrates on the "unique cultural, geographical, legal, channel, and competitive landscapes" birthed from both exporting Chinese games overseas and providing assets for Western titles in China. - In addition, the Online Game Development track includes a host of valuable Asian speakers from companies including NetEase, Joyport, Kingsoft and XPEC, plus CCP on EVE Online and Riot Games on League Of Legends, as the "opportunities for innovation, creativity, and revenue" in the vibrant space are explored. - The Indie Games Summit at GDC China centers on discussions around successful development and marketing tactics from leading independents, including Andy Schatz (Monaco), Erin Robinson (Puzzle Bots), an Osmos postmortem, insight from Joe Danger creator Hello Games' Grant Duncan, and a Chinese indie-centirc talk from 4399.com. - The Social Network Game Summit features major lectures from Playfish China's Andrew Mo, PopCap's Long Vo, and representatives from Disney-owned Playdom and major Chinese SNS firms 6Waves and Five Minutes, as they explore the new wave of social gaming. - Finally, the Mobile Game Summit includes Rovio's Peter Vesterbacka on the firm's rapidly-expanding Angry Birds franchise, as well as lectures from notable companies in the iPhone, Android, and other cellphone space including PikPok, Gamevil, Coconut Island Studio and Noise Buffet. In addition, a significant Expo Floor is hosting over 40 companies, including HP, Intel, China Telecom, The9, Autodesk, 6Waves and more. And the 2nd annual Independent Games Festival China will have finalist games playable on the GDC China Expo show floor, with the IGF China Awards Ceremony open to all show attendees on Monday, December 6th at 7pm on the 7th floor of the Convention Center. GDC China's online registration has now ended, but in-person registration starts on Saturday, December 4th, the day before the show, and is available from 1pm to 6pm in the lobby of the Oriental Riverside Hotel, Shanghai (the hotel connected to the Shanghai International Convention Center). Registration is also possible on-site from 8am on Sunday, December 5th, the first day of the show -- for more information on all aspects of GDC China in both English and Chinese languages, please visit the official GDC China website.